Wal-Mart Joins Michael Bloomberg’s War On Law-Abiding Gun Owners! Wally World To Police Gun Owners! I have always disliked shopping at Wal-Mart for several reasons: First, because they put local retailers out of business. Second, because they are so big they can dictate to their distributors the prices they will pay for the merchandise they sell …. often causing their distributors to go out of business. 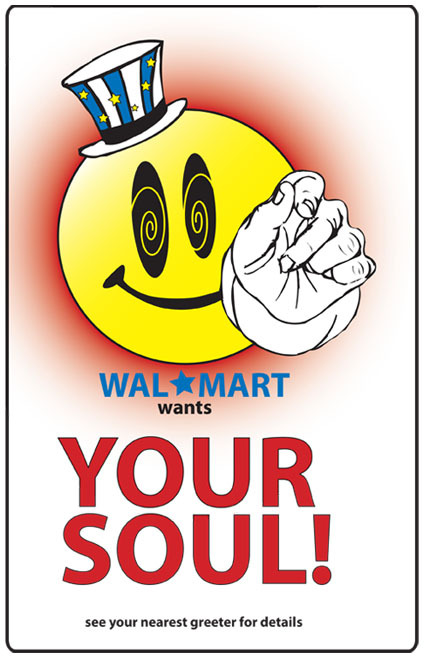 Now I have another reason … and I will no longer shop at Walmart …. period! Wal-Mart recently joined New York City Mayor Michael Bloomberg’s war on law abiding gun-owners by attending a gathering of Bloomberg’s anti-gun group, Mayors Against Illegal Guns, to announce a series of changes to the way in which Wal-Mart will handle future firearm transactions. At the gathering, J.P. Suarez, chief compliance officer for Wal-Mart Stores Inc., stated: “The costs are, we think, part of what it takes to be responsible.” Suarez also added, “This is not a signal that we’re getting out of firearms.” Well, I think they may as well be … I hope their firearms sales fall through the floor. Once these changes have been instituted, firearm purchases at Wal-Mart will involve getting a video record of the sale, which the chain will then keep on file . It seems Wally World is now getting into the law enforcement market and effectively creating its own video database of gun purchasers. Wal-Mart also is giving its employees the discretion to deny the sale of a firearm to anyone who has ever had a firearm traced by BATFE for any reason …. including those who have had a firearm stolen that was later used by a criminal in the commission of a crime. I say anyone who gets video taped buying a firearm at Wal-Mart deserves what they get! I agree with Wayne LaPierre’s comment. And … I think all American gun owners should boycott Wal-Mart permanently! I, personally, will never give Wal-Mart another dime of my money. It is time for the 80 million law-abiding gun owners in this country to start making a stand against these consistent, and unconstitutional attacks on our Second Amendment Rights by liberal elitists whatever stripe they choose to hide behind. 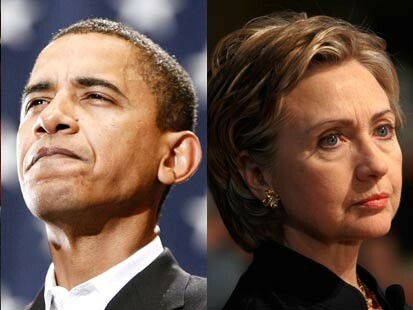 Clinton and Obama Now Support The Second Amendment? “Well, what I support is sensible regulation that is consistent with the constitutional right to own and bear arms,” she said. “Is the D.C. ban consistent with that right?” asked the Charlie Gibson. “Well, I think a total ban, with no exceptions under any circumstances, might be found by the court not to be. But I don’t know the facts,” Clinton concluded. At least Hillary Clinton was right about that. The fact is that neither candidate joined more than 300 of their congressional colleagues in signing a brief in the Heller case in support of the Second Amendment, and both candidates’ records are well documented and show, without doubt, that they’re both radically anti-gun. For either of them to now even attempt to convince Americans they support gun-owner’s rights is absurd. If neither one of them can plainly state that a ban on guns in the home for self-defense runs contrary to the Second Amendment, one can have little doubt that either candidate believes any gun law would. England is the classic case against gun control, for ever since those draconian laws were introduced, crime with a weapon has increased dramatically, while crime in general, and violent assaults have skyrocketed; and yet, large numbers of the British people are vehemently anti gun. The concept of individual responsibility seems so alien to them, that they would rather give power to the state to enforce rules of none existent protection upon everyone, and then scratch their collective heads in stupefaction as to why nothing deters the criminal or why so many criminals have no care as to the brutality and callous cruelty they inflict upon their innocent victims. There is a lesson here much of humanity willfully refuses to understand.I guess the answers are simply to fearful for them to accept, that being, in many cases, you DO need to stand up for yourself; then of course, far, far too many want someone else to take care of them, it is after all, so much easier! Thanks for the nice comment. I have spent time in the UK and have seen that mentality there. I have a good friend who grew up in Scotland and who is an avid shooter. In fact, he has shot for both the Scottish and Australian national teams. He is only to happy to tell you what he thinks of the UK’s draconian gun laws and his sentiments are probably not pleasant. I believe I heard that at one time, the UK’s national rifle team had to travel to France to practice … but I may be mistaken. If true, that is so sad! Thank you Darren for your service and Patriotism. Life is hard in the US because so many have forgotten what ‘patriotism’ is/means and how this Nation was founded. We’ve slid long and hard downwards and politicians like Bloomberg, big business CEOs such as who’ve been in the news lately and Presidential aspirants like B. Hussein Obama are the reasons. Keep up the good fight. Keep the ‘rubber down’ and the ‘powder dry’.